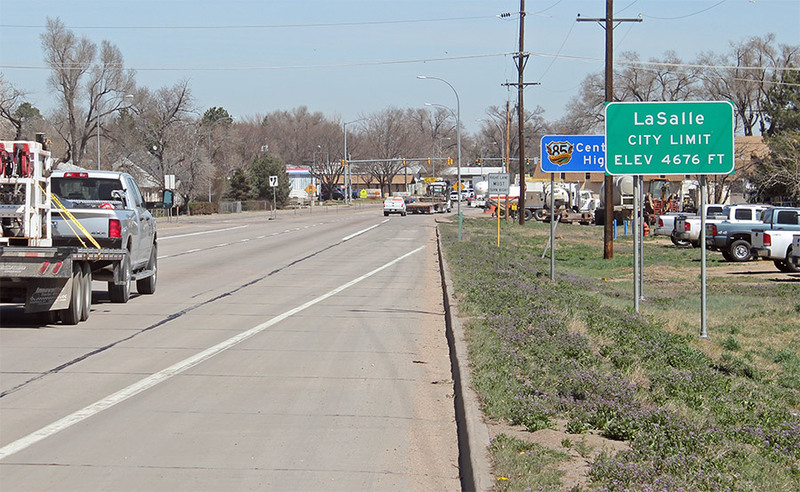 LaSalle, Colorado , a small town of 1,900 people needed a waste lagoon cleanup. It’s one of those small crime-free places tucked away north of Denver, about 5 miles south of Greeley, Colorado. It’s one of those quiet, peaceful places that offers people a rustic quality of life where good people escape the ugly side of life. The only problem with LaSalle was (for a year or two), unless you breathed mechanically, you always knew when you were approaching the town because you had to roll up the car windows and clothes-pin your nose when you passed through. You could smell the waste lagoon when you got within five miles of LaSalle from either direction, so holding your breathe long enough to escape the bouquet was almost an impossible task. The stench was so bad the State of Colorado ordered LaSalle to clean up its 5 acre waste lagoon or pay a massive fine—and a town-destroying dredging assessment. It was one of those types of fines that bankrupts small towns like LaSalle and makes people put their homes up for sale. Fortunately, Carl Schneider of Tech AG had a John Ellis E5 machine. Barry Schaffer, the Public Works Director of LaSalle contacted John Ellis Water™ for suggestions. John Ellis suggested putting 1,000 gallons of 114° bond angle water into the 10.5 million gallons of wastewater in the LaSalle lagoon. Clearly, Schaeffer didn’t think it would work, but desperate men grab desperation straws. And Schaeffer was desperate. He approved John Ellis Water’s suggestion to pour 1,000 gallons of treated 114° bond angle water. This would be added into the 10.5 million gallons of wastewater in the LaSalle lagoon. Although the experts all told them that the lagoon was dead. Ellis added Bio Water (H2O) to boost the oxygen (since everyone knows that scientist are aware that oxygen kills all pathogens. BF888 was used to jump-start the aquatic oxygen bacteria. Which needed to be in the lagoon to help it breathe (it’s like putting on a swimming mask when you swim underwater). Ellis had Carl Schneider of Tech Ag add a 6-gallon bucket of BF888 into the lagoon each week for six weeks. The shock came when the health inspectors dredged the sludge on the bottom of the lagoon to clean the human waste from the lagoon. What little feces was left in the lagoon, the experts who had expected nothing of consequence? They felt if they continued the 5-gallon buckets of BF888 for a few more weeks and the lagoon would clean. The following week, the sludge level was down over 30%. And continuing adding the BF888 for another six weeks and the town learned the human waste was about gone—without the town of LaSalle being required to spent $150,000 to dredge the lagoon. For between six to eight weeks, the whole town crossed its fingers—over their noses. Clearly, Barry Schaeffer didn’t think it would work, but desperate men do desperate things. Especially true when they know the first thing they will have to do when they get home is burning their clothes they were wearing. And, LaSalle was desperate. LaSalle put 1,000 gallons of Ellis treated water into their 5-acre city waste lagoon filled with 10.5 million gallons of sewer waste.